How to Stress Less When Holiday Shopping: Learn how to make your holiday shopping experience more enjoyable. This is a sponsored post on behalf of BODYARMOR. 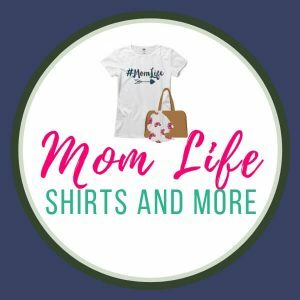 As a part of the Mom It Forward Influencer Network, I am being compensated for this post. All opinions are mine. This post contains affiliate links. It seems to get worse the week before Christmas when everyone is rushing to check everything off of their lists. Sound familiar? ♦ Make a list. Whether you use pen and paper or a handy app on your phone, make a list. In your list, make note of where the item might be found. Don’t forget essentials like wrapping paper, tape, gift bags, or batteries! ♦ Map it out. Reorganize your list according to where each item might be found. It’d be helpful to look up each item online to see where you can get the best price. Once you have your store in mind, map out a route that will save you time and energy. ♦ Got coupons or discounts? If you have any coupons, cash back offers or discounts available to save some money, make note of it on your list so you don’t forget. ♦ Park wisely. Consider where you park your car. If you’re shopping during the day and you’re able to walk a distance, it might be beneficial to avoid the crowded parking spots and park in a less crowded area. You’ll avoid who I consider to be aggressive drivers who try to vie for the parking spots closest to the store. If you want to get a close spot, go for it! Aim for one close to a cart return and pay attention to other drivers. If you’re parking at night, however, make sure to park in a well lit area closer to the store. In any case, don’t leave valuables or shopping bags out in a visible spot in your car. Bring your purse/wallet into the store with you. Cover up any other valuables/shopping bags with a blanket or lock them in your trunk. ♦ Give yourself enough time. If possible, give yourself enough time to get all of your shopping done. Rushing can lead to mistakes, like missing an item on your list and having to go back to a store for it. ♦ Be patient and be kind. This can be a tough one, especially when others around you might not be so patient or kind. Try to keep in mind that the more calm you remain, the less stress you’ll have. Be especially patient and kind with any store employees, many of whom have probably been working long hours during the holiday season and have had many people not show any kindness toward them. Showing them some kindness can brighten their day, making them more likely to be kind to you. ♦ Shopping with kids. Finishing up your holiday shopping list with kids in tow (or really any time you shop) can up the stress level. 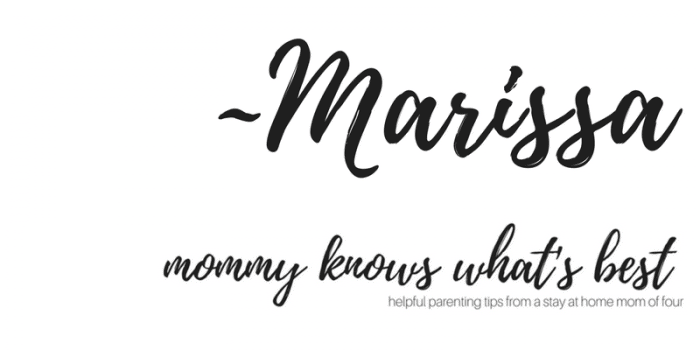 I highly suggest you review these helpful shopping tips for when you need to bring your kiddos along. ♦ Have a snack. It’s a well known fact that when you get hungry, you can experience dizziness, headaches, loss of concentration, and easily agitated (you know, “hangry”). Is that how you want to feel when you’re in the middle of a busy store trying to find the perfect gift? Bring along a snack so that you can get an energy boost to complete your list. These snacks are portable and don’t require refrigeration. You can keep them in your hand bag for easy access! ♦ Stay hydrated. If you’re shopping for a few hours, dehydration can kick in, causing you to experience dizziness, fatigue, and headaches. Again, not fun when you’re trying to shop! Water is a great option, of course, but if you’re not into plain water, BODYARMOR LYTE is another option. One or two bottles during a long and tiring shopping trip can help keep you hydrated and give you energy to complete your list. Any More Ideas for How to Stress Less While Holiday Shopping? What would you add to the list? How do you keep your holiday shopping as stress free as possible? 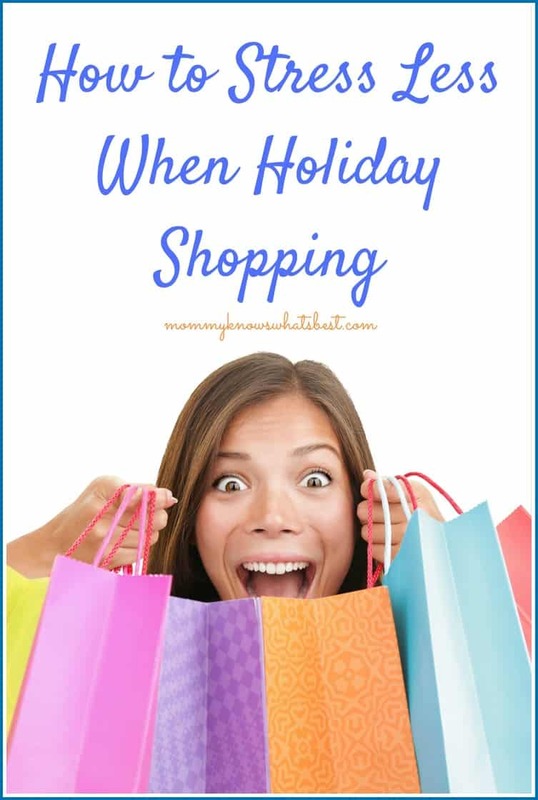 Leave a comment below and give me more ideas for how to stress less while holiday shopping! 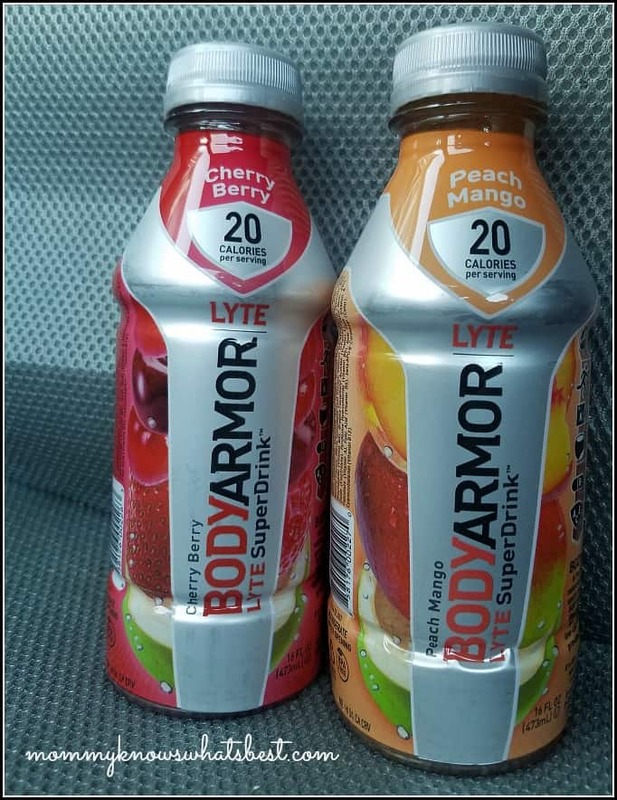 So what did I think about BODYARMOR LYTE? Taste: As someone who drinks mostly water and coffee, I found the flavors to be refreshing without being too overpowering. The flavors taste natural and not artificial. Ingredients: I really like that BODYARMOR drinks use natural flavors and sweeteners and don’t use artificial colors. When I want something sweet, I can drink a bottle without worrying about the high sugar content or ingredients being harmful to my body. Effective? : I’d say yes. 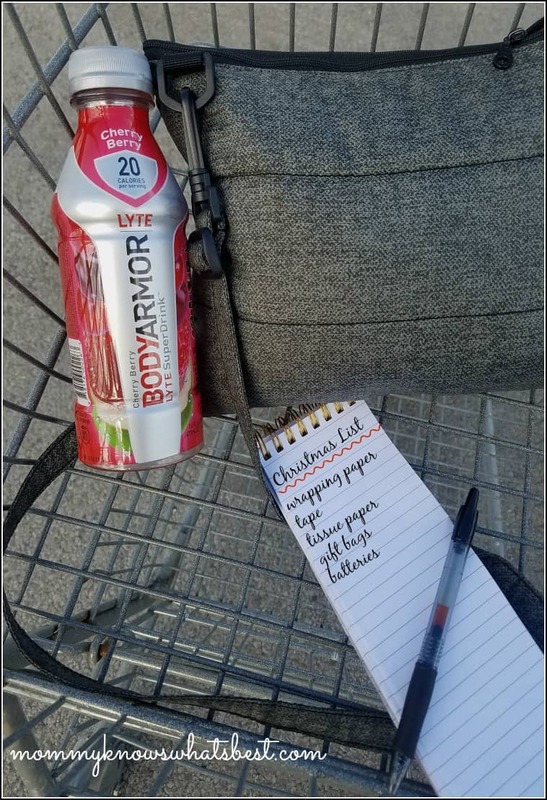 During a long and tiring shopping trip with my youngest two kiddos, I brought along the Cherry Berry BODYARMOR LYTE and sipped it as we moved along. For me, shopping with these kiddos, ages 2 and 4, is like a workout. The 2 year old is in the baby carrier on my back, and the four year old keeps me on my toes as we move about the stores. Between the extra weight on my back, pushing the heavy cart, chasing a four year old, I get wiped out pretty fast. When I sipped on the BODYARMOR LYTE, it was really refreshing and kept me hydrated, while giving me an energy boost. Usually coffee will give me the caffeine boost, but the crash that follows is not fun. BODYARMOR LYTE is caffeine-free, so the energy boost didn’t come with a crash at the end. Visit BODYARMOR to see the full list of ingredients in BODYARMOR LYTE. BODYARMOR SuperDrink is a premium, sports drink that provides superior hydration. It is packed with electrolytes, coconut water and vitamins and is low in sodium and high in potassium. BODYARMOR contains natural flavors and sweeteners and no colors from artificial sources. In 2017, BODYARMOR launched two new products: BODYARMOR LYTE and BODYARMOR Water. BODYARMOR LYTE has all the same nutrients as BODYARMOR. It is naturally sweetened and has only 20 calories per serving. If you’re in PA like me, you may be able to find BODYARMOR LYTE at Wegmans or Target. For other locations, click here. Want to save some money? Click here for a BODYARMOR money saving coupon! Thanks to BODYARMOR and Mom It Forward for sending me BODYARMOR LYTE to try! Really good tips, Marissa. Merry Christmas.